Photo by Jay W. Bennett Parkersburg South’s Samantha Miller, top, controls Parkersburg’s George Cantwell during their 106-pound match earlier this year. Miller, the No. 4 seed, will face the fifth-seeded Cantwell during Saturday’s Class AAA, Region IV, wrestling championships inside Memorial Fieldhouse. PARKERSBURG — Wrestling regionals across the Mountain State will be held today and Saturday as grapplers vie for a top four finish and a spot in the state tournament coming up later this month in Huntington. 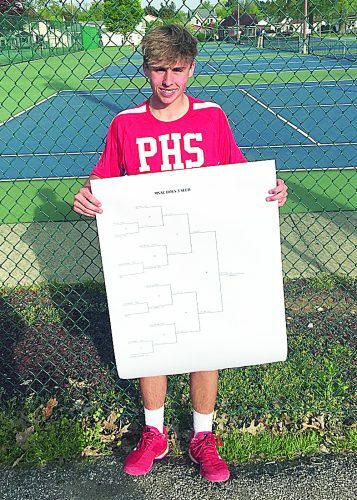 While Class AAA power Parkersburg South looks to continue its dominance in Region IV, which begins at 11 a.m. Saturday inside Memorial Fieldhouse, expected Class AA state champ Point Pleasant has nine No. 1 seeds for the Class AA/A, Region IV, tournament which gets underway around 5:30 p.m. today at Williamstown High School. Head coach John Bonecutter’s Big Blacks picked up their ninth top seed when 182-pounder Juan Marquez was moved up because Williamstown head coach Ryan Scott opted to keep expected top seed Ethan Tawney out of action. As it stands now, the only area top seeds in Williamstown will be ‘Jacket 145-pound 26-9 junior Casch Somerville and Calhoun County 170-pounder Dalton McCune, a 31-2 senior. WHS has a pair of No. 2 seeds in Mason Deem at 138 and 160-pounder Julian Stoneman. “Mason, he’s been wrestling tough,” said coach Scott while noting WHS hasn’t seen Point Pleasant this season. “Hopefully, Julian can get a couple wins and get into the finals. Right now, you don’t have to win pretty, just win. You are going to see a lot of state finalists coming out of our regional. Wirt County, which is ranked No. 2 in Class A in the latest wvmat.com/coaches’ poll, doesn’t have any expected regional champs. However, head man Danny Life’s Tigers do have No. 2 seeds thanks to Logan Powell (106), Hunter Poole (113), Kolton Parsons (120), Wyatt Powell (126) and 195-pounder Glen McFee. Ravenswood 132-pounder Cody Smith has the only other local two seed. 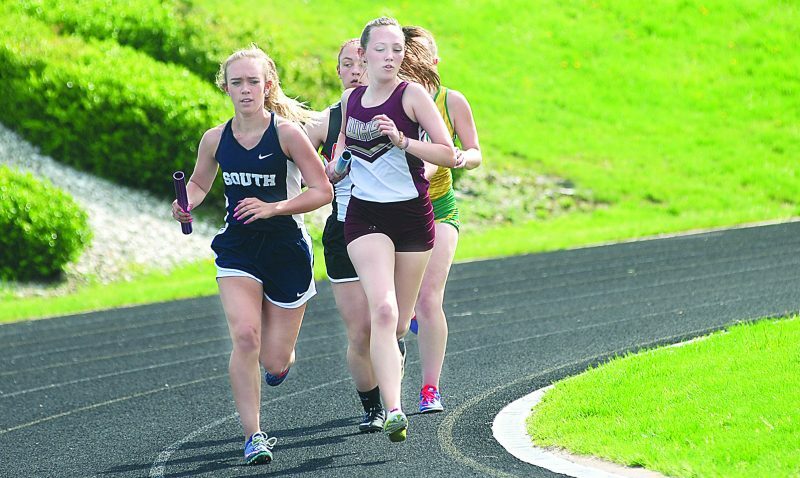 “Obviously, qualifying all 14 and hopefully having about six, eight champions or so,” quipped Parkersburg South head coach Shaun Smith when asked what the perfect regional Saturday scenario would be. On paper, the Patriots are expected to send 14 grapplers to the Big Sandy Superstore Arena. PSHS also boasts six No. 1 seeds, which includes 126-pounder Tucker Windland, who is vying for his fourth career regional title, as too is Huntington 182-pound top seed Zane Lanham. “We’ve had a great week of practice,” added coach Smith, who also has expected champs in Gavin Quiocho (138), Brayden Roberts (145), Zane Hinzman (160), 220-pounder Braxton Amos, who is 44-0 and the only undefeated grappler at the regional, along with heavyweight Louden Haga. Parkersburg head coach Matt Littleton has top seeds with Garret Donahue at 120, Hunter Ackerman at 132, John Martin Best at 152 and at 195 with CJ Wade. Overall, the red and white have nine seeded grapplers expected to advance while Huntington has the other trio of No. 1 seeds thanks to Jaishawn Lyles at 106, London Bowen at 113 and 170-pounder Clayton Stewart. “We’ve got a couple fifth seeds. 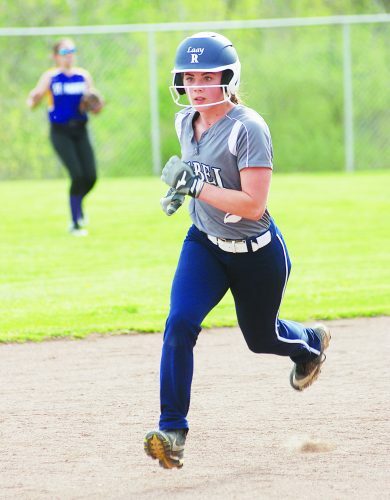 Obviously, they will have big matchups in the first round,” noted Littleton, who has No. 5 seeds in 182-pounder Jacob McCune, 126-pounder Levi Westfall and 106-pounder George Cantwell, who will take on fourth-seeded Patriot Samantha Miller. “George had a close match with Samantha the first time and he’ll be looking to avenge that loss and punch his ticket as a freshman. The Class AA/A, Region I, tournament also gets underway today at Fairmont Senior. Ritchie County boasts a pair of top-seeded grapplers in 120-pounder Brady Layman and 126-pounder Connor Spaulding. St. Marys’ Wiley Houser has the No. 2 seed at 120. Magnolia teammates Gage Adams (138) and Mikey Hamrick (285) also have No. 2 seeds, but Hamrick most likely would face 35-0 Zach Frazier of the Polar Bears. If Adams reaches the finals, he’s likely to see Oak Glen’s Peyton Hall, last year’s 132-pound state champ. Notes: Wrestling starts at 11 a.m. Saturday and participating teams are Cabell Midland, Huntington, Hurricane, Parkersburg, Parkersburg South, Ripley and Spring Valley. Notes: Action should begin prior to 6 p.m. today and resumes at 10:30 a.m. Saturday. 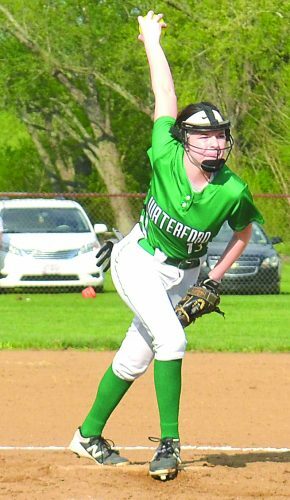 Participating teams are Buffalo, Calhoun County, Chapmanville, Lincoln County, Logan, Man, Mingo Central, Point Pleasant, Nitro, Poca, Ravenswood, Sissonville, Wahama, Williamstown, Winfield and Wirt County. Notes: Action starts today and resumes Saturday. Participating teams are Berkeley Springs, Cameron, East Fairmont, Fairmont Senior, Frankfort, Keyser, Madonna, Magnolia, North Marion, Oak Glen, Paden City, Petersburg, Ritchie County, St. Marys, Tyler Consolidated, Weir, Wheeling Central.